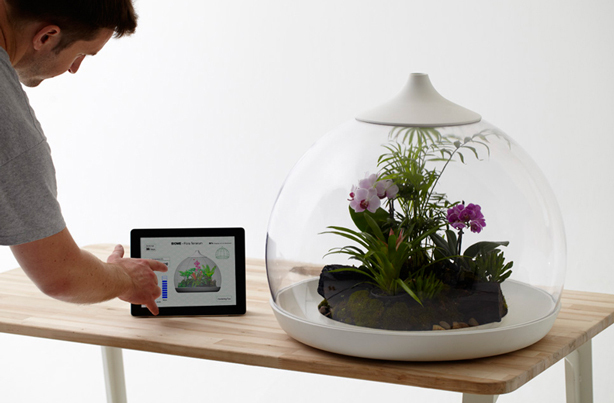 No green thumbs needed here: Biome, by London-based designer Samuel Wilkinson, is a smart terrarium powered and managed by an iPad or smartphone which controls its climate, water level, and nutrients. 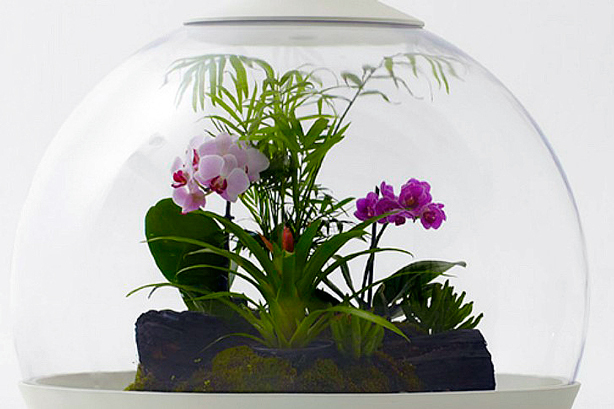 Sunlight for the mini eco-system is replicated by full-spectrum LED lights located inside the dome that contains sensors linking back to the smart devices. 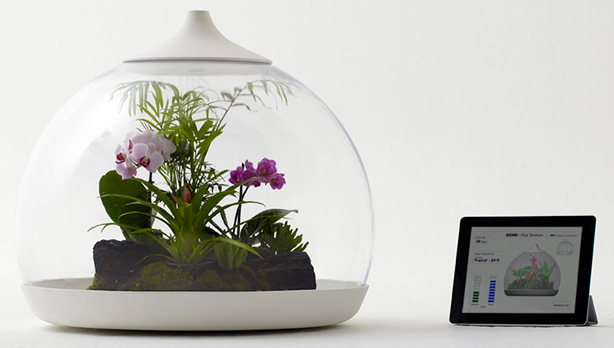 Normally used for human messaging, the devices in this case are used to monitor and control conditions like temperature and water levels and are designed to simulate various environments like tropical, desert, and herb garden. 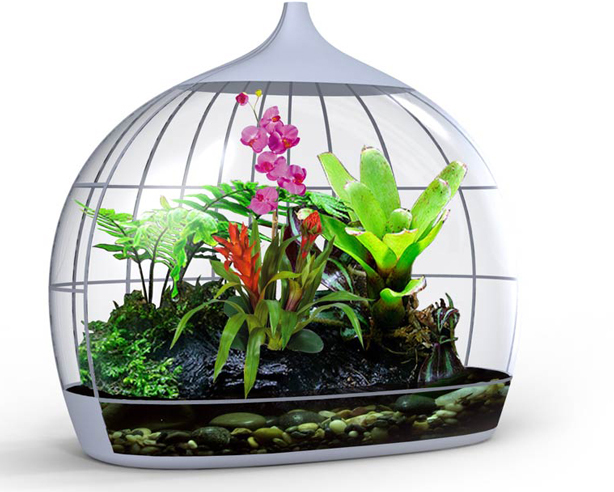 Computer rendering of Biome Terrarium. 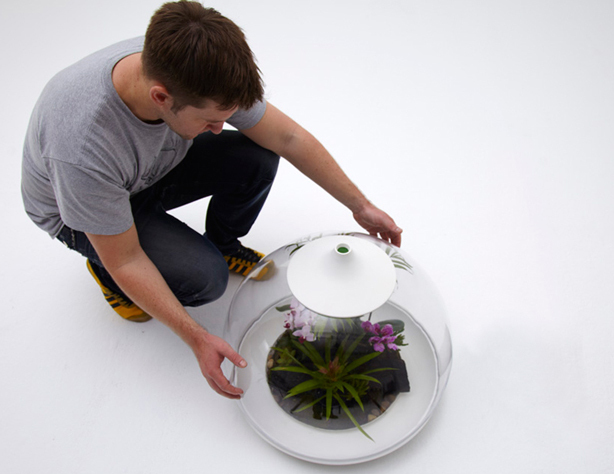 Biome was on view last month as part of the exhibition Slow Tech–Designs for Digital Downtime curated by Henrietta Thompson, editor-at-large at Wallpaper, at London agency, Protein.